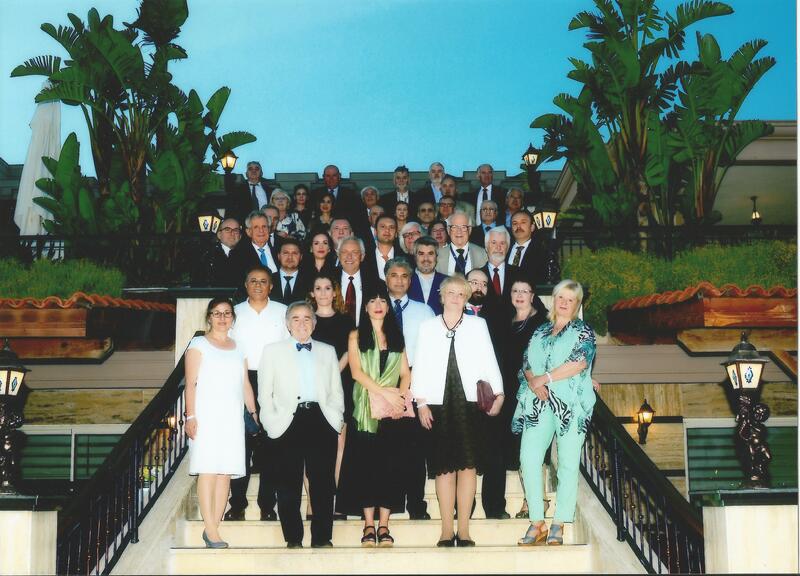 WCCE’s 12th General Assembly of the World Council of Civil Engineers was held in Antalya, Turkey from 18 to 20 October 2017, organized by the Turkish Chamber of Civil Engineers - TCCE . The Assembly was welcome by TCCE's President Cemal Gökçe. Attendance at WCCE activities by WCCE delegates was enriched by the attendance of FAEO's Past President Mustapha Shehu as well as delegations of three new countries: China, Georgia and Montenegro..
President Alfonso González has held meetings with the Executive Board of Sociedad de Ingenieros de Bolivia - SIB's during his visit on early June. The theme of these meeting has been how to enhance SIB's contribution to WCCE joint initiatives with UNESCO and UN-Water, how to enable WCCE communication with SIB's members and how can SIB's news and activities and deliverables can be disseminated to WCCE member organizations and the civil engineering community as a whole. President González declared that "WCCE principles bring all organizations on equal foot to address society's needs and is committed to contribute to enhance life standards globally. On such grounds, all contributions are welcome and participation is open to any organization or its professionals". SIB President, Marco Antonio Fuentes Villa, confirmed the sound commitment of his organization to contribute to WCCE's current standing committees and his intention to attend our next General Assembly to be held in Antalya, Turkey on October 2017. 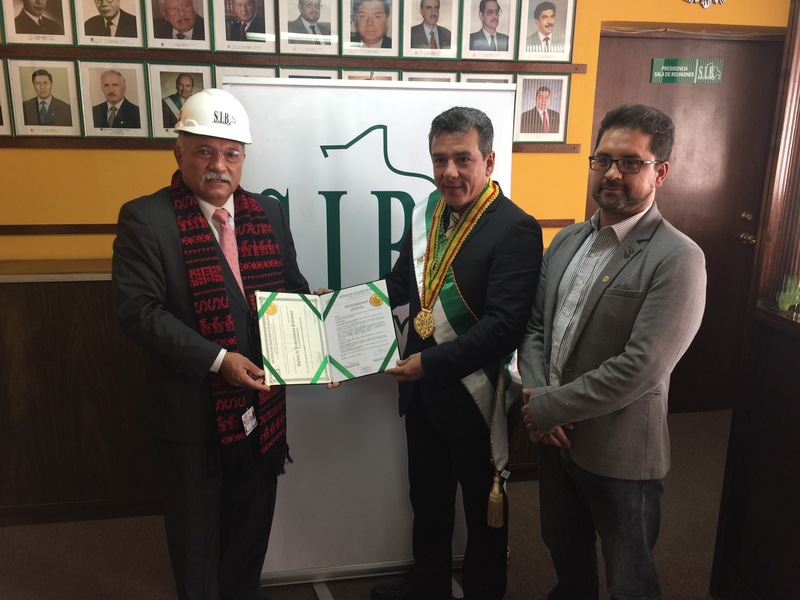 Sociedad de Ingenieros de Bolivia joined WCCE in 2011 and is the first member of the Andean region to join WCCE. Following, we enclose some photos from the meeting. 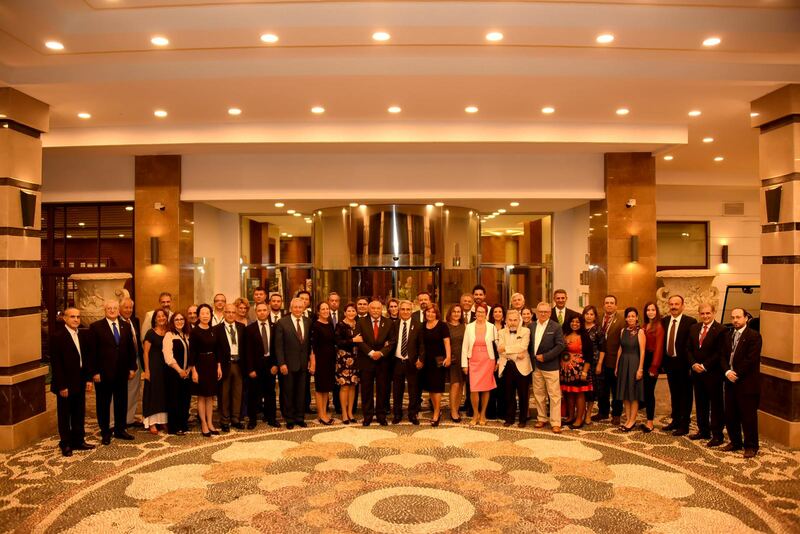 On June 1 and 2 the 65th General Assembly of the European Council of Civil Engineers was held in Antalya, Turkey, hosted by the Turkish Chamber of Civil Engineers. During this Assembly, WCCE President Alfonso Gonzalez was unable to attend the ECCE meeting and was represented our Executive Board member, Professor Tügrul Tankut. This meeting has endorsed the first activities of the new Board elected last October in Athens. This meeting was chaired on interim basis by the Polish engineer Wlodimiercz Sczymczak, due to current responsibilities assumed by President Massimo Mariani in the Italy's Government Committee for Reconstruction of the seismic episodes ocurred by the end of 2016. 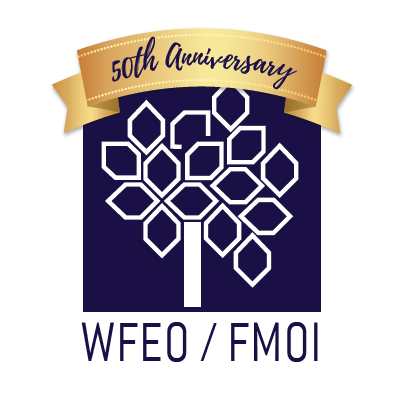 This meeting has also consolidated initiatives undertaken by the 2014 - 2016 Executive Board as well as new initiatives to make the profession visible naming 2018 European year of Civil Engineering, in which several anniversaries of our professional chambers will take place such as the celebration of the bicentennial of the Institution of Civil Engineers in October with WFEO's and FECIC's 50th anniversary. 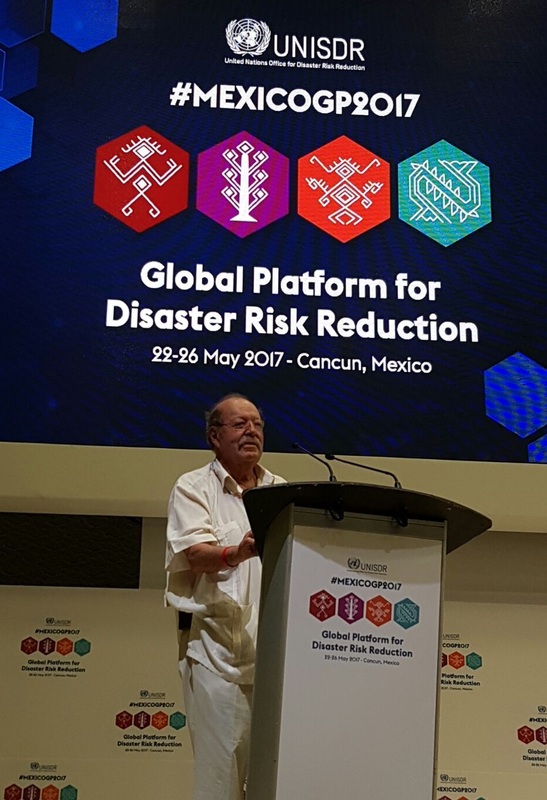 The UNDSR's Global Platform for Risk Reduction took place on 16-17 May 2017 in Cancun, Mexico. The theme of the 2017 Global Platform was "From Commitment to Action", and is expected to provide contributions from a disaster risk reduction perspective to the deliberations of UN governance bodies and mechanisms, such as the General Assembly, the ECOSOC and the High Level Political Forum on Sustainable Development, and especially for the follow-up processes to UN conferences and summits, in particular the 2030 Agenda for Sustainable Development and the Sustainable Development Goals. WCCE was represented by our President, Alfonso González and our Standing Committe Chairman, Mauricio Porraz. The objective of our attendance is to show the commitment of WCCE and its members organizations to UNDSR's Platform for Risk Reduction and on the implementation of the Sendai Framework.